Im Rahmen der Black Library Celebration 2019 kommt passend zum Roman Debüt die Hauptfigur, Kommissarin Severina Raine, als Miniatur, sowie weitere Neuheiten. 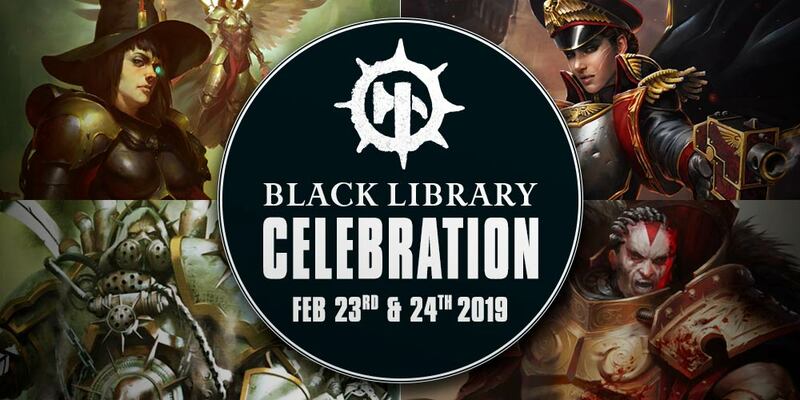 As well as a place to find out about all the latest books from Black Library, this will also be somewhere that you can discuss your favourites and join a community of like-minded fans of Warhammer fiction. 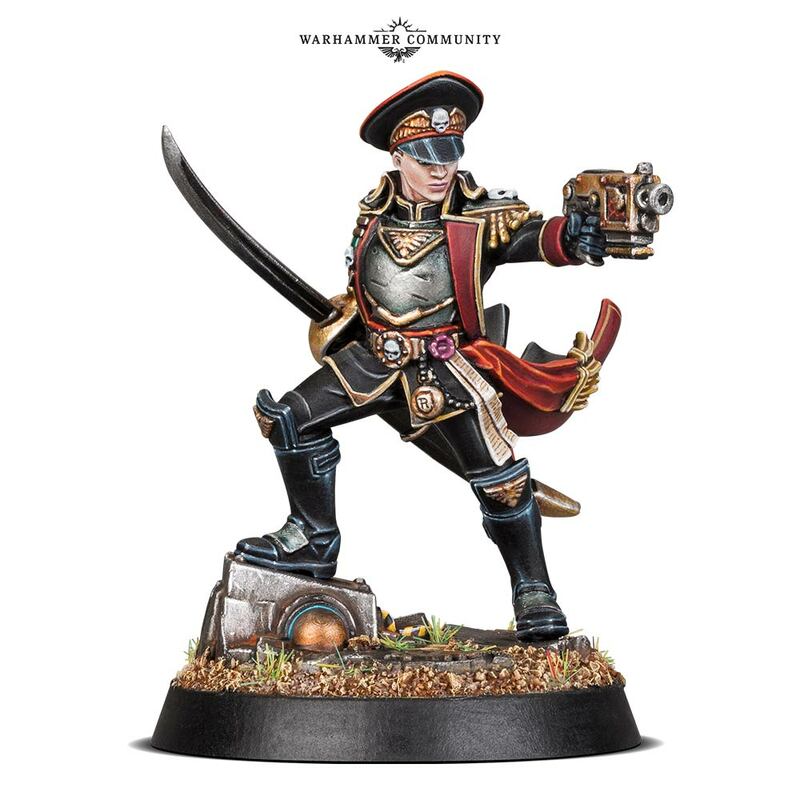 And if you head there now, you’ll find some gorgeous pictures of a new Black Library-themed Citadel miniature being released for the Celebration – Commissar Severina Raine! This is the first full-length story to star Commissar Severina Raine, who’s become a fan favourite through Rachel’s awesome short stories. The novel sees Raine and her 11th Antari Rifles take their war with the Sighted to another level – and the cult’s machinations may expose secrets from Raine’s troubled past. 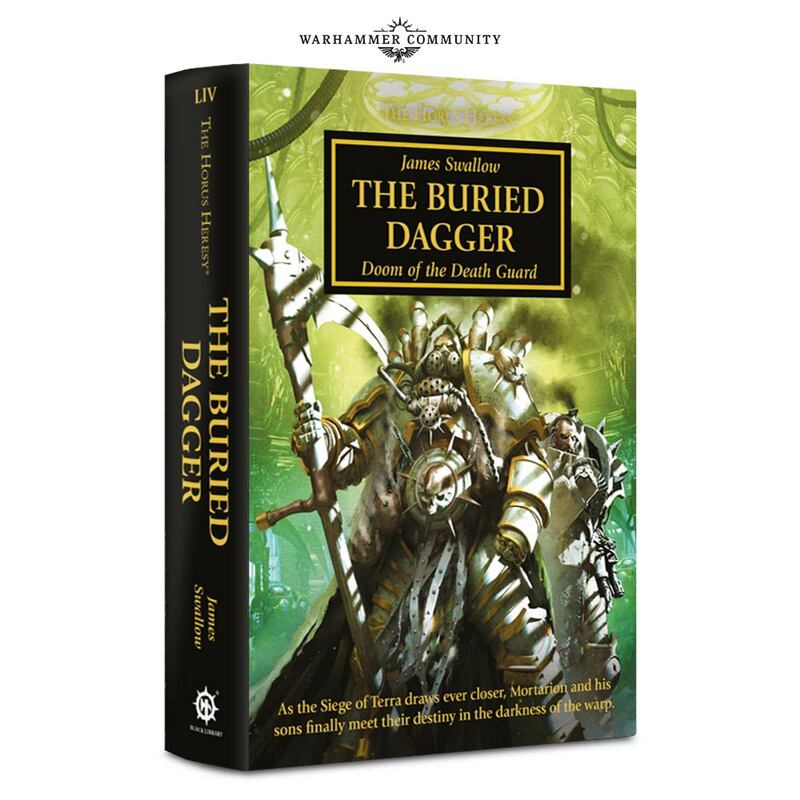 The Buried Dagger, by James Swallow, tells the long-awaited story of the fall of the Death Guard. Bestilled in the warp, the Legion is ravaged by contagion. Nurgle wishes to bestow his gifts upon them – but will proud Mortarion accept such corruption to save the lives of his sons? It’s also a bridge between the series so far and the Siege, catching up with heroes on the Throneworld, including Knights-Errant, the Sigillite, the would-be saint Euphrati Keeler… and nine mysterious silver-armoured figures with psychic powers. 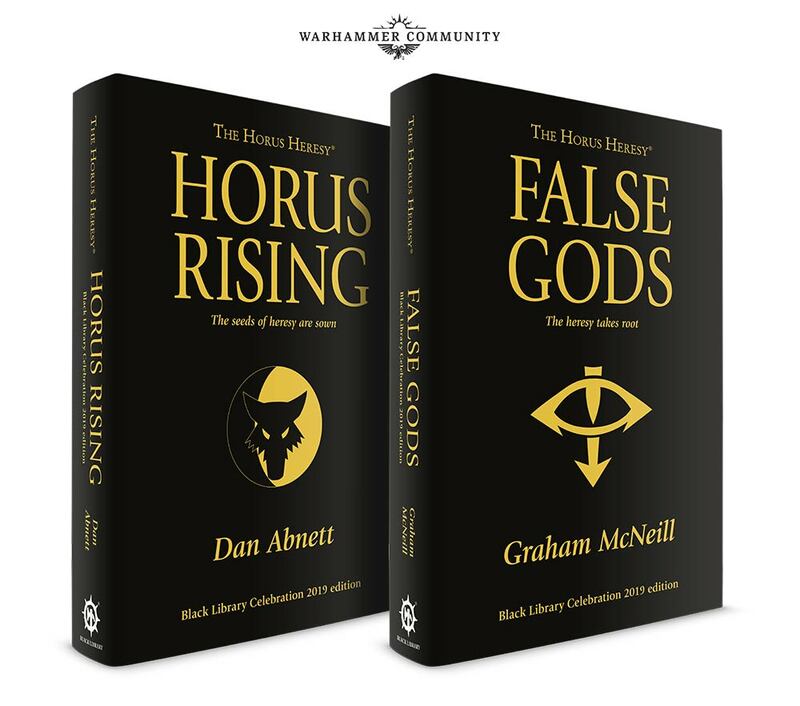 You’ll also be able to look back to where it all began, with Celebration editions of Horus Rising and False Gods. Each of these is a gorgeous artefact, with new covers and black page edges – and each has an additional short story (‘Misbegotten’ and ‘The Wolf of Ash and Fire’, if you’re curious), along with introductions by authors Dan Abnett and Graham McNeill. The weekend will also see the launch of Angron: Slave of Nuceria, the eleventh book in the Primarchs series. United with his World Eaters, Angron must adjust to life as a master instead of a slave. But as his life on Nuceria – and the constant pain from the Butcher’s Nails – haunts him, Angron insists on reshaping the Legion in his image… This lavish limited edition will be available to order online – and each store will be getting a copy as well, so if you’re quick, you can be among the very first to read Ian St. Martin’s first Horus Heresy novel. That’s a lot of Heresy – but there’s much more to the Celebration. Fast forward ten thousand years, and there are two incredible tales from the Dark Imperium to savour as well. 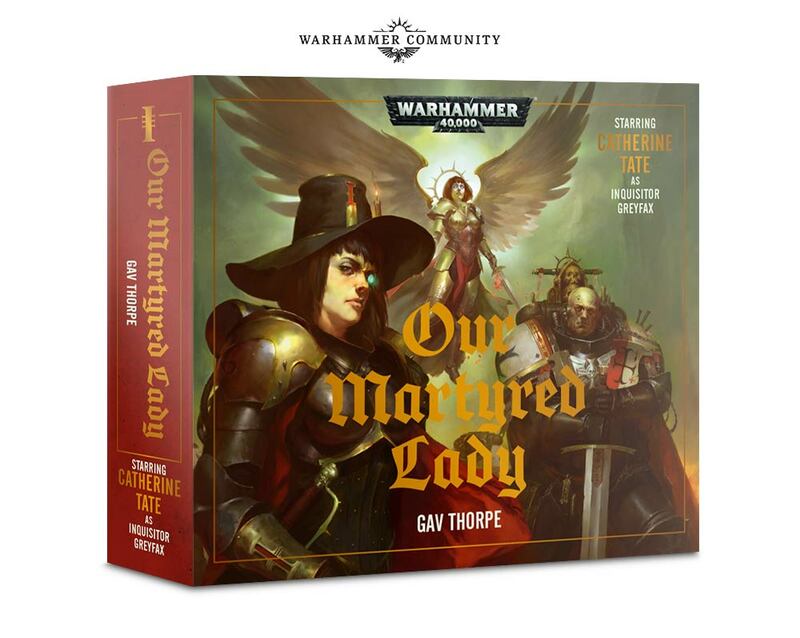 Our Martyred Lady by Gav Thorpe is an audio drama boxed set in the style of Realmslayer. Four hour-long episodes make up a story of Saint Celestine and Inquisitor Greyfax as they struggle to stop a religious civil war from erupting in the fractured Imperium. It’s perfect for extended painting sessions (maybe the Celestine and Greyfax miniatures?) and long journeys. Oh, and did we mention that the fantastic cast is headed up by none other than Catherine Tate? The Celebration will also see the launch of this year’s Reader’s Choice novels, as voted for by you. 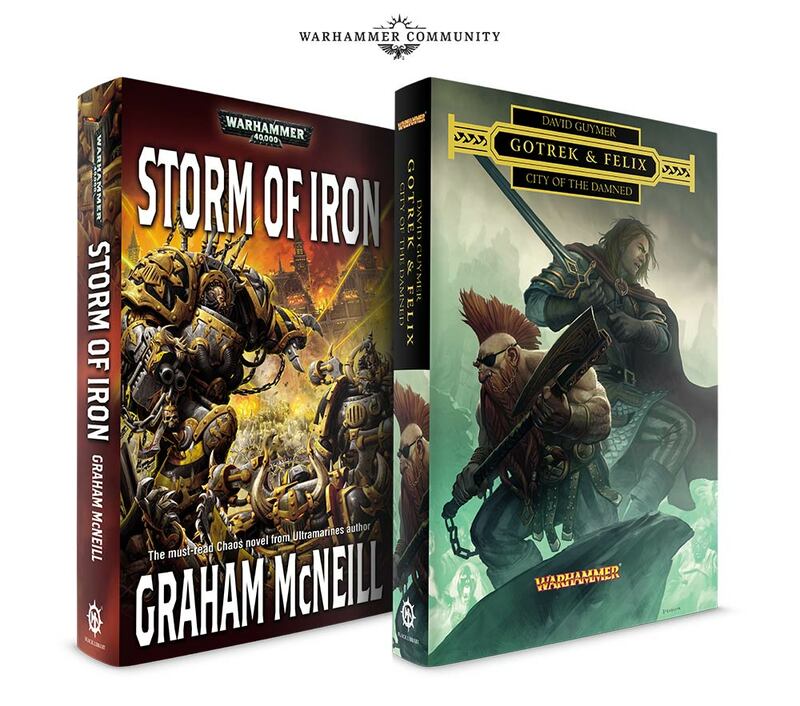 Storm of Iron is a true Black Library classic, one of Graham McNeill’s earliest novels, and pits the Iron Warriors against the forces of the Imperium in a battle to control secrets hidden beneath a mighty fortress. With Graham McNeill working right now on exciting new stories after a few years away, this is a great chance to reacquaint yourself with some of his best-loved characters. And speaking of characters you love, City of the Damned is David Guymer’s first Gotrek & Felix novel and is a must-read for anyone who loved Realmslayer and the other recent Gotrek tales from the Age of Sigmar. So there are plenty of stories new and old, celebrating Black Library’s past, present and future – but, of course, that’s not all. There’s some amazing merchandise on offer as well, including a set of four vinyl coasters, themed around the Heresy and The Buried Dagger. 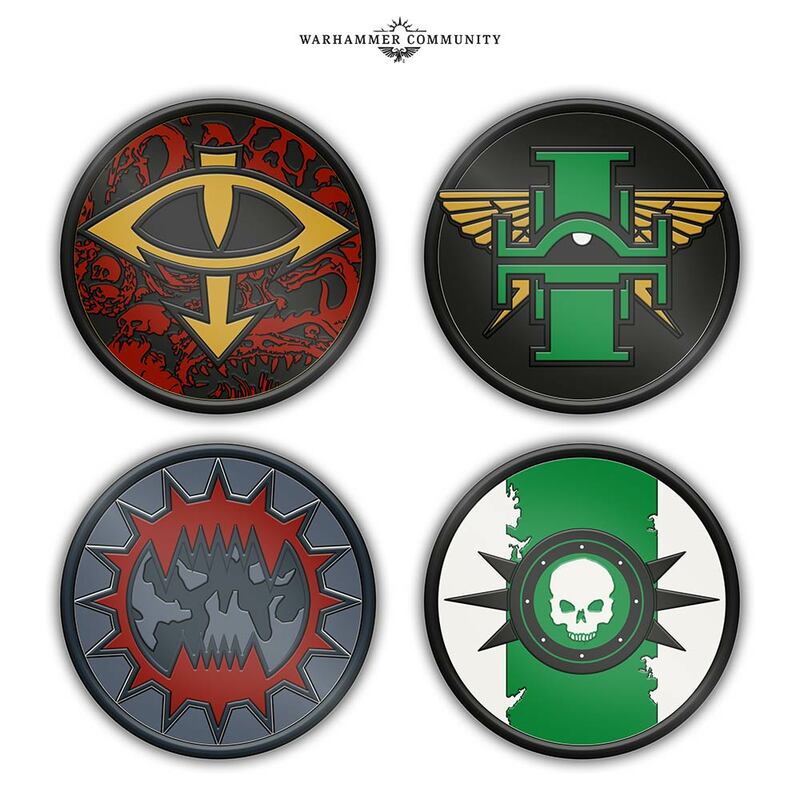 They boast the symbols of the Death Guard, Sons of Horus, World Eaters and Knights-Errant, and are perfect for keeping your table safe from nasty stains while you’re enjoying a hard-earned mug of tea (or maybe blood, if you’re a World Eater). The last thing you’ll be able to pick up at the Celebration is a fantastic free short story anthology. 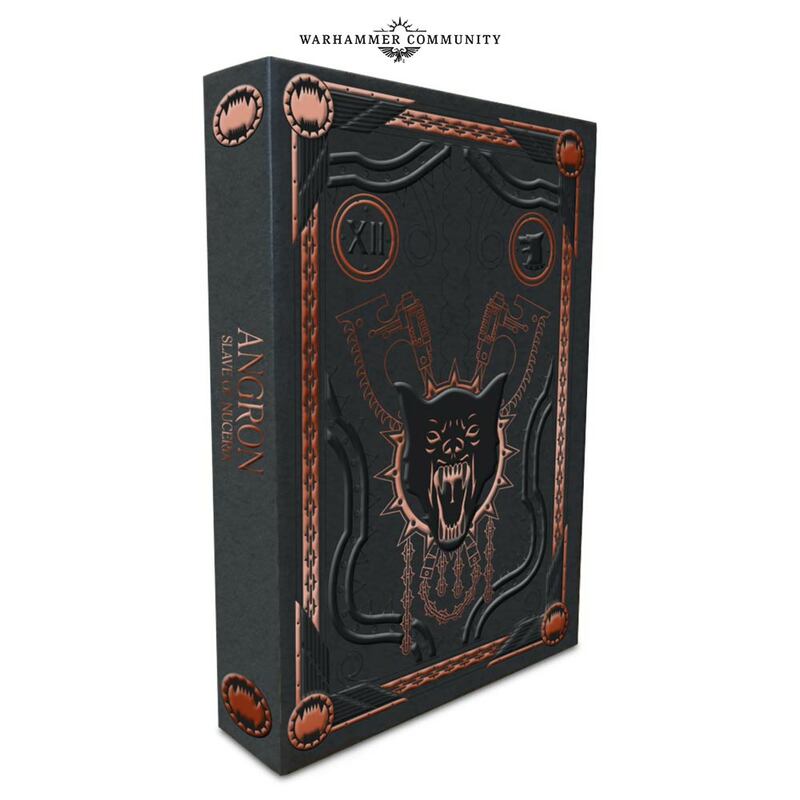 Containing six tales – including stories about Severina Raine and Mortarion – you’ll get this with any order of a physical product from the Games Workshop and Black Library websites, and you’ll also be able to pick up a copy in your local store. What’s more, the Celebration will be starting early online. 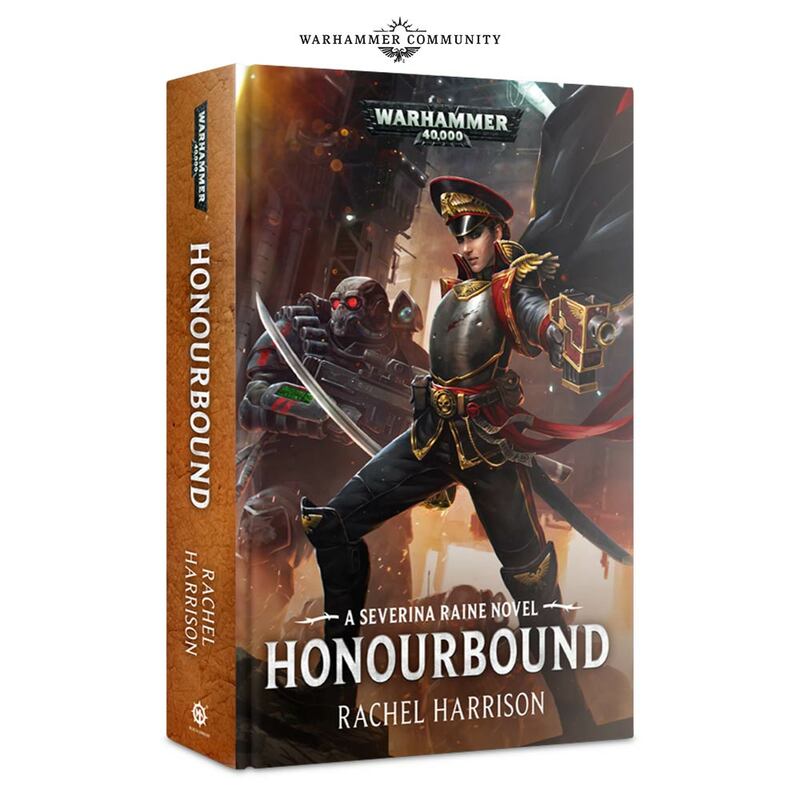 To whet your appetite, there will be a week of brand-new digital short stories building up to the weekend – six of them, several with links to the new releases, including a Severina Raine tale, a look at Mortarion in the aftermath of meeting the Emperor and the tale of Angron’s last stand on Nuceria. 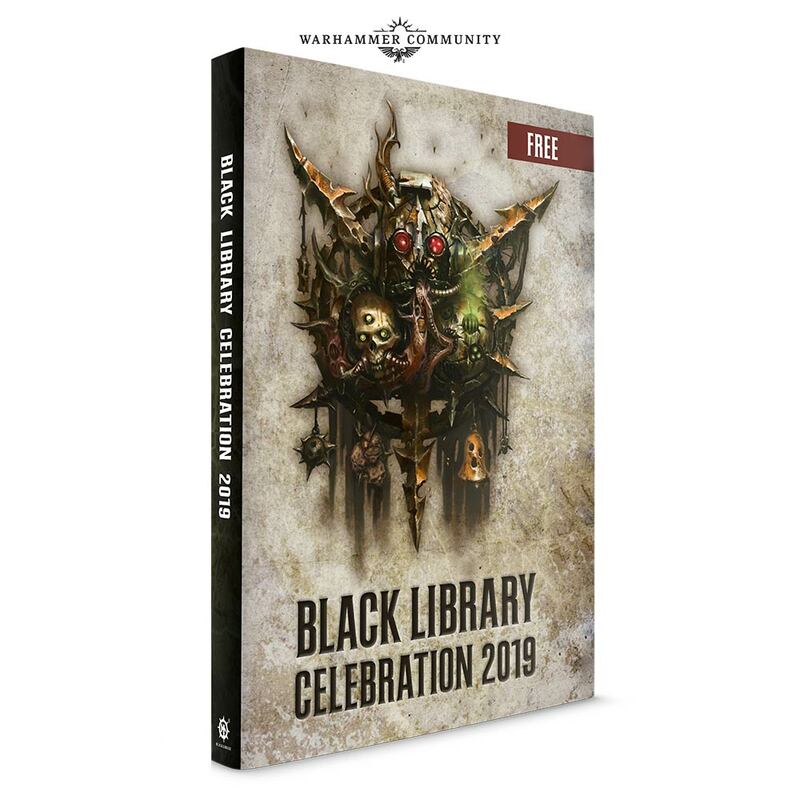 In the meantime, check the Store Finder to locate your local store, and find out what their plans are for the Black Library Celebration 2019 – because, with all of this in store, you’ll definitely want to join in. 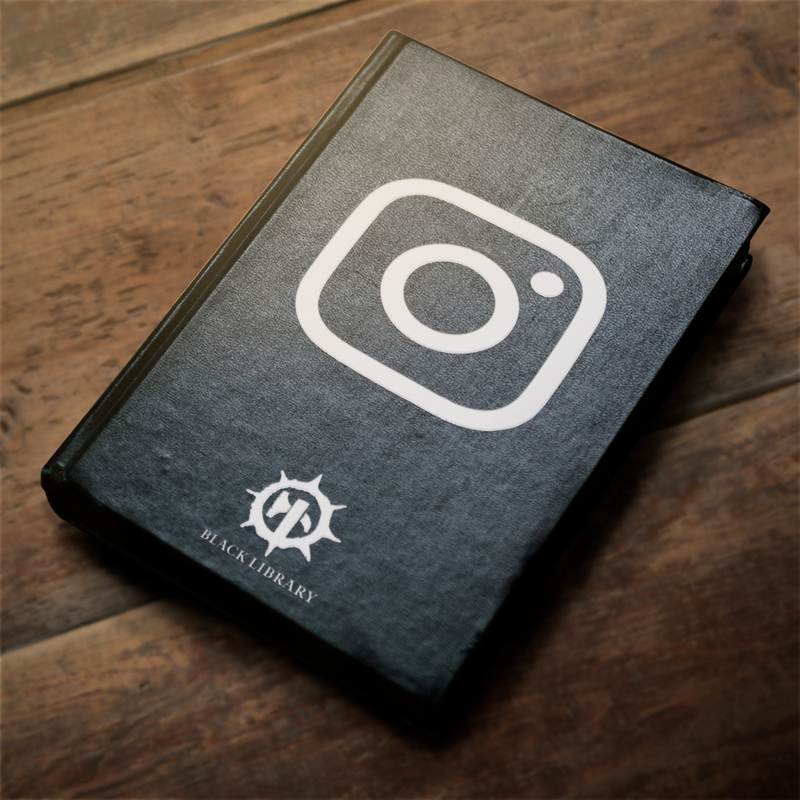 And remember to keep an eye on the Black Library Instagram. Frauen ohne Brüste, selbst wenn man sowas nicht an Plattenrüstungen sehen kann, machen mir Angst. Ich lese die Bücher nur im Original. Würde mich aber schon interessieren, welche nicht übersetzt werden, da mir das bisher noch nicht aufgefallen war. Und was die Death Guard Neuerscheinung angeht: Ugh, James Swallow – weiß nicht, ob ich mir das antue, habe von seiner Schreibe so die Nase voll. Aber das es irgendwann zu Ende geht war doch schon von Anfang an klar. Es ist nun mal eine Geschichte dessen Ende bekannt ist. Ich für meinen Teil finde, sie haben das ganze schon recht ordentlich ausgeschlachtet. Das Buch mit der Kommissar/in kommt dieser Jahr, ich glaube noch im Frühling oder Sommer auf Deutsch. Ich hoffe ja noch auf einen Plastik Ibram Gaunt. Am Besten mit den anderen ikonischen Geistern. @Ende der HH: Wurde auch mal Zeit! Die Serie haben sie leider deutlich zu weit ausgelatscht – und keine Bange, nach dem „Ende“ gibts bestimmt noch das ein oder andere zu kaufen.